If you are looking to market or promote your website then the most effective way of doing so is coming up with a good content for your marketing practices. A good content draws interest and enthusiasm from readers and potential clients and convinces them to subscribe to or purchase a product or service. With this understanding, it is important to have a reliable writer to create the content to market a business. In this regard, among the best providers of professional writers come from iWriter. In this article, we will share with you some of the features of iWriter and what sets it apart from its competitions and why investing in it is an excellent choice. Known as among the easiest and fastest way to come up with a good content for any kind of business and any niche, iWriter has been on the background since 2011 providing services to all countries from all across the globe. It has its main office located in Carmel, IN. However iWriter are staffed by writers coming from all corners of the globe. While English is the primary language used in writing, they can also provide content written in other languages such as Spanish, Russian, Japanese, German, Arabic, and many others. 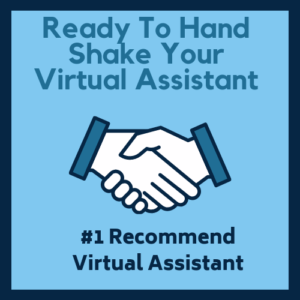 They are backed up with years of experience and a staff of reliable as well as well-experienced writers who are experts in specific niche or subject. This website provides a direct solution to any kind of content problem. Simply choose your ideal writer in the website and start with your project anytime. Choosing your ideal writer is easy using iWriter since each writer features his or her own target or focus niche which allows them to concentrate on a certain subject that they are very familiar with. Having to be familiar with the subject, the writers are able to come up with very detailed as well as very accurate content for clients. Also, each of the writers is carefully assessed for their skills, proficiency as well as their knowledge of a given subject. They also undergo a series of interviews as well as tests prior to getting hired. While iWriter is for business owners and entrepreneurs who are looking for content, this site is also for aspiring writers who want to join the team of expert writers. This site constantly invites writers to apply for a writing position on the website as they understand that people always have something to share with others. The website understands the uniqueness of each person’s ideas and those ideas are always worth sharing through writing. First off, if you’re a client who is looking to hire from the website, you’ll notice that the rates involved are much lower than other websites that provide writing services. Also, the articles and content that are being sold are much affordable than those purchased from popular sites. When purchasing an article, the client can get an article for a low price of $1.25. however, we should always bear in mind that there are also other factors involved in the price such as the minimum number of words per article, the speed or due date for the article to be finished, the topics, the level of research involved, and many others. 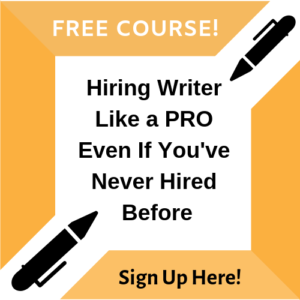 When starting to make the hire for a writer, the client should first register for an account and complete the process until confirmed for an account via email. Then the client can just submit a new project or post by hitting on the “Submit new project page” button. In this form, the client should enter all necessary information as well as details about the project. Some of the essential details to be entered in the project include the number of words of the article, the subject or topic, the format or writing style, the level of expertise required, the payment set up and price, and many others. The client can also include other requirements for the ideal candidate such as education background, gender, availability, location, internet speed, and many others. Having to be as detailed as possible when making job openings is essential in order to narrow down the choices of writers and to find the best match easily and quickly. The client will also be able to take advantage of certain features where they can select the articles that they want to purchase through categories such as topics, amount of articles, easy download format, quality, tone, SEO keyword optimized, language, and length. Also, clients can review each of the writer’s profile to determine if they are a good match for their requirements. When reviewing writer profiles, they can check out the rating and feedback for each writer. The stars in the profiles simply mean the performance of the specific writer. The more stars out of a writer’s profile mean they are more experienced and are more recommended by previous clients. Of course, clients can inquire about any kind of writing job. Whether it is just for a snippet, a short article, an ebook, or even an actual book, the website will be able to provide the writer to cater to their specific writing needs. The best thing to bear in mind is that there is much less work involved in hiring the ideal writer for your needs. Also, what you see in the profile of the writer is basically what you will get. So if you see a good number of stars from the writer’s profile, there will be great chances that the writer will be an excellent choice. 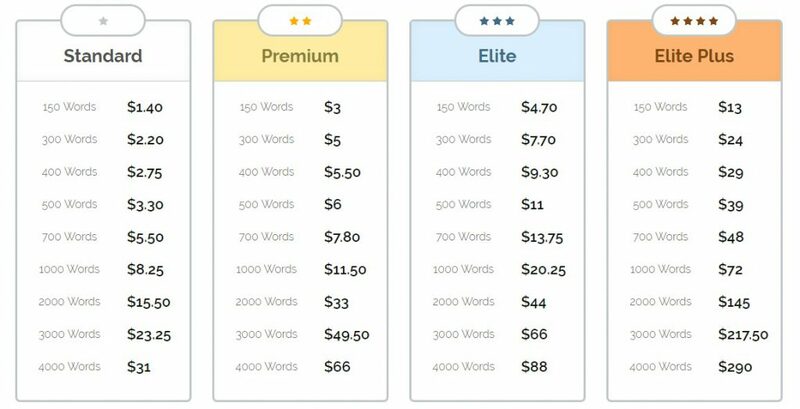 How much of the writing service? As mentioned earlier, there are a lot of factors to be taken into consideration prior to coming up with the final price of an article. Nevertheless, the rates involved in iWriter are much competitive and are always flexible according to the client’s budget. What’s important to bear in mind when investing in the website is the number of returns to be obtained from featuring and publishing content that is well-written with the best quality, tone, and presentation. Also, all articles are SEO optimized to allow them better exposure and for better views or traffic.